UNITED STATES: Investment firm Global Infrastructure Partners (GIP) has completed its acquisition of NRG Energy's US renewable energy business. This story was first published on 7 February, 2018 when the acquisition was first announced, and then updated on 3 September when the deal was completed. 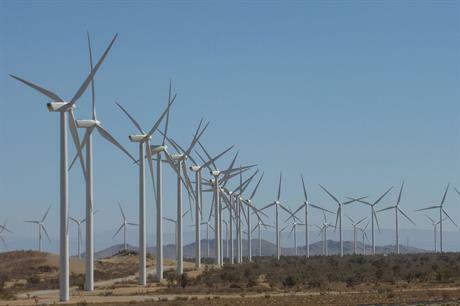 The deal includes NRG Energy’s controlling stake and 46% economic interest in yieldco, NRG Yield, which has an operational portfolio comprising wind, solar, and natural gas projects with a combined capacity of more than 5.1GW. NRG Yield had owned 32 wind farms - including the 947MW Alta wind complex in California - with a combined capacity of nearly 3GW, according to its website. GIP also acquires NRG’s operations and maintenance (O&M) business that serves 2.4GW of renewable energy projects in 17 states, and a project pipeline with a combined capacity of more than 6.4GW. It acquired the business for $1.348 billion in cash and provide backstop support for NRG Yield’s agreed purchase of the 500MW Carlsbad Energy Centre natural gas project in southern California. NRG added that the transaction would remove $6.7 billion of debt from its balance sheet. Announcing the acquisition in February 2018, Adebayo Ognlesi, chairman and managing partner of GIP, had said that GIP viewed each of the three acquired businesses as "highly complementary and well positioned to capitalise on the increasing market demand for low-cost, clean energy". He added that GIP planned to help develop renewable generation assets alongside NRG as well as offering the company financial support. In July 2017, NRG Energy announced a ‘Transformation Plan’ to reduce company debt by $13 billion and raise $4 billion in revenue. Divesting 6GW of its conventional power generation assets and between 50% and 100% of its interest in NRG Yield and its renewables platform, were among options being considered, the plan suggested. The NRG acquisition is just GIP’s latest investment in the renewables sector. It has previously invested $9 billion of equity in renewable energy, including 8GW of operating renewable assets and more than 14GW of renewable assets under construction or in development. Global Infrastructure Partners bought Singaporean company Equis Energy and its 11GW-plus renewables portfolio for $5 billion. It also bought 50% of Ørsted’s 450MW Borkum Riffgrund 2 offshore project, and agreed to buy half of the company’s 330MW Gode Wind 1 site. GIP has also invested in crude oil companies, coal-powered generation and liquefied natural gas (LNG) facilities), according to its website.